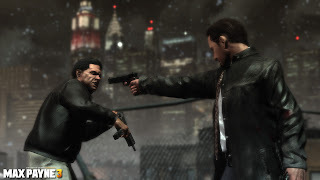 Like any online game, there will be players who try to cheat the system to gain an unfair advantage, but Rockstar has implemented a new way to making sure they don't ruin the experience for fair players in Max Payne 3 multiplayer. "Anyone found to have used hacked saves, modded games, or other exploits to gain an unfair advantage in Max Payne 3 Multiplayer, or to circumvent the leaderboards will be quarantined from all other players into a "Cheaters Pool", where they'll only be able to compete in multiplayer matches with other confirmed miscreants." There is a chance for redemption as well, but Rockstar won't tolerate a second offense. "In the event we decide to absolve any of these cheaters for their past transgressions they may re-enter play with the general public, however a second offense will result in their indefinite banishment." Let's keep it fair on Max Payne 3!